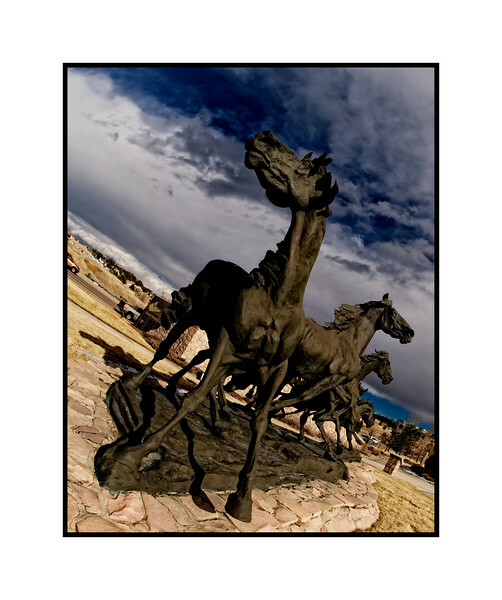 A different perspective on the statue of the horses. Someone asked if the horses were meant to be wild horses and i believe they are. It truly is a magnificent statue, one I pass almost daily. Thanks for all the comments on the fireman climbing the ladder statue shot. I really appreciate your input. The week is nearly half over...hope yours is going well. Amazing group of shots today and i loved perusing them! Great pov! Love the pp! Great angle and well composed.